Imagine going to the grocery store and finding rows and rows of canned goods that all just said “Vegetables.” Labels obviously come in handy if you care what you eat, or what you read. But unlike canned vegetables, books aren’t always so easy to label. A story one reader might call women’s fiction another reader might describe as romance. And broader genres can be mixed to make something new, as when we blend science fiction and romance, or historical fiction and mystery. But the thing about labels is, they’re only useful if they’re accurate. If you slap a label that says “green beans” on a can of peas, you’re going to make food shoppers angry. This is one reason I’m careful about applying the romance label to a book. To me, it’s a romance, if a) the story would collapses if you took out the romance, and b) it has a (reasonably) happy ending. It can end with the lovers being happy for now or happy forever, but a romance, to me, includes a happy ending for the people in the romantic relationship. All of my books have some romantic elements, but only some are romances. I use the criteria I described above in labeling them, because I don’t want a reader who’s looking for a romance to feel cheated. The thing about science fiction romance is, the science fiction is just as important as the romance. If you can’t take the story out of its science fictional setting and still keep it the same story, then it’s just as much a science fiction novel as it is romance. But the real glitch in labeling comes in when you try to apply the labels. Different platforms use different labels! On Amazon, once you assign a fiction book to the romance category, you can give it a subcategory of science fiction, like this:. Fortunately, Amazon also lets writers and publishers apply their own free-form keywords, so I can label my book “science fiction romance” to help anyone who is searching in the Amazon search bar find it. Because that’s what genre labels are all about: finding the books you want to read! Note: The views expressed above are solely those of the author and are not endorsed by the Science Fiction Romance Brigade. 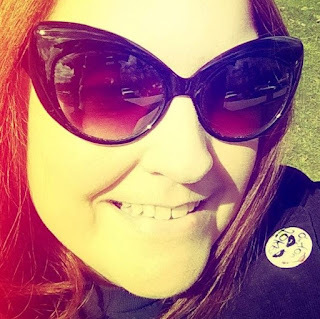 Bio: Carmen Webster Buxton spent her youth reading every book published by Ursula LeGuin, Robert Heinlein, and Georgette Heyer. 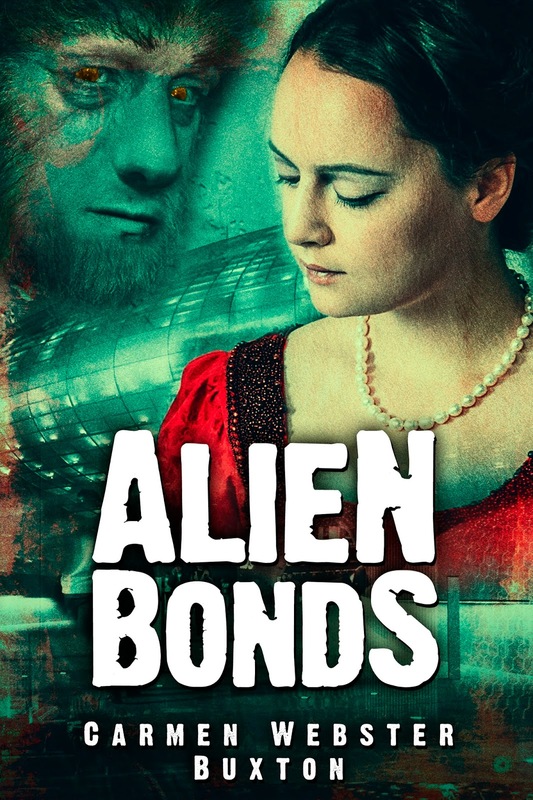 This combination of far-future worlds, alien cultures, and old-fashioned courting customs influenced her writing and that shows in most of her books. 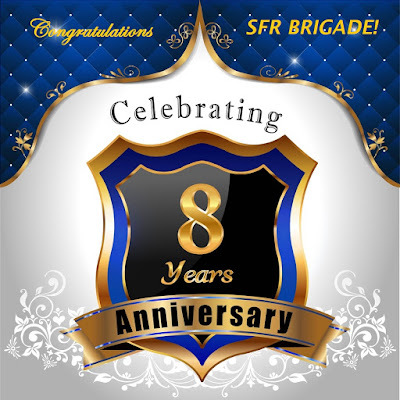 Eight years ago, the SFR Brigade was launched with the hopes that there were at least 50 other writers and authors of science fiction romance who may want to join. After the first thirty days, over 100 members had already signed up. Now, eight years later, the SFR Brigade Facebook group totals over 1,230 members. 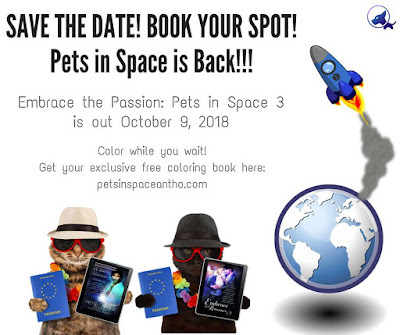 It's Pet Passport Day and eleven authors of the Science Fiction Romance Brigade are celebrating by announcing the new Pets in Space anthology, "Embrace the Passion: Pets in Space 3." In the previous two years, Pets in Space anthologies have twice been awarded Library Journal Best Book (eOriginal) and SFR Galaxy Awards, and was a USATODAY Bestseller. More importantly, Pets in Space has raised over $4,400 for hero-dogs.org, a charity that raises, trains & places support dogs with U.S. veterans. 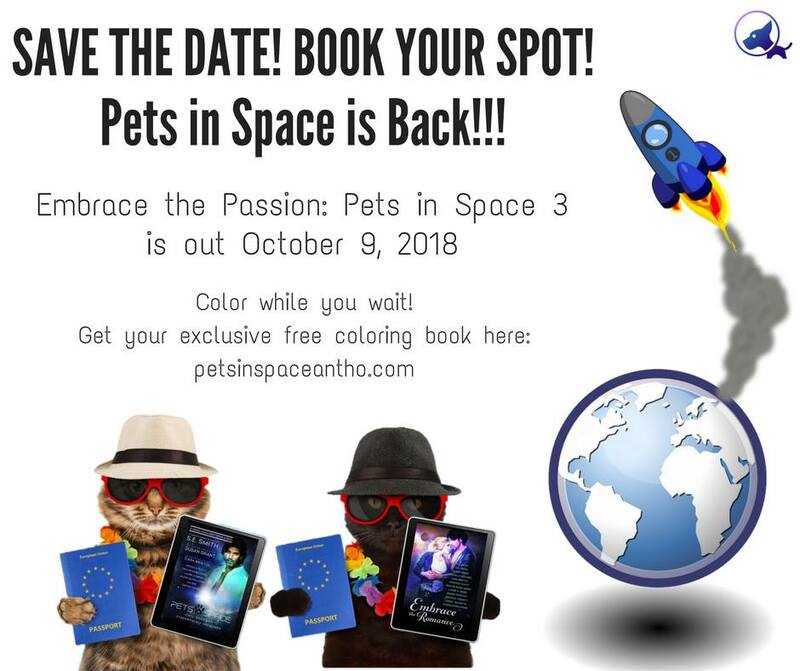 Embrace the Passion: Pets in Space 3 anthology will release on October 9, 2018 and once again, 10% of pre-orders and the 1st month's profits go to Hero-Dogs.org. The following eleven science fiction romance authors have banded together to bring you new and original stories from their popular series and to support Hero-Dogs.org: S.E. Smith, Anna Hackett, Ruby Lionsdrake, Veronica Scott, Pauline Baird Jones, Carol Van Natta, Tiffany Roberts, Alexis Glynn Latner, E D Walker, JC Hay, and Kyndra Hatch. More information is coming in the months ahead! Please leave a comment and share what pet you would like to see featured in a science fiction romance story. I have a confession to make. After this weekend, I will have seen Star Wars: The Last Jedi five times. That’s right, I paid to see it in the theater five different times at more than ten bucks a pop. I realize that I most likely have a psychological problem. It isn’t that I have a weird obsession with large men that have strange faces (I do). Or that I might have a slight mask fetish (I do). Or that I’m a lifelong Star Wars junkie (I was literally a week old when A New Hope came out). My problem boils down to this-- I’m attracted to bad men. Not in my real life, mind you. My husband is probably one of the sweetest people in the world. But there’s something about that dark prince that whispers wicked and wonderful things in your ear that is so appealing. We call that phenomenon death and the maiden. Death and the maiden is a theme that began in Greek mythology with Hades and Persephone. The idea of the frightening God of the Underworld seducing the innocent daughter and dragging her down to the Underworld with him. That theme was popularized during the Renaissance with the figure of death looming over or even kissing a beautiful, young girl. It further evolved into many aspects of our culture, including literature. Beauty and the Beast, Phantom of the Opera, and even Fifty Shades of Grey, among others, are based upon this idea. That contrast of light and darkness, yin and yang, and their attraction to one another, can be traced through much of our popular culture. Is it any surprise that it has become a tried and true romance novel trope? Which brings me back to the new Star Wars movie. I don’t want to spoil it or anything, but at the center of the plot (and indeed the entire sequel trilogy) is the death and the maiden thread being played out by Kylo Ren (or Ben Solo depending on your point of view) and Rey. Now, whether you agree with it or not (please do NOT send this blog hate mail in the comments), that aspect is pretty clear in the climax of the movie (hehe… she said climax). It adds a layer to the movies that I always thought was missing in the clumsy May-December kisses between Padme Amidala and the doomed Anakin Skywalker. If you’ve read my books Beast of Burden or Huntress, you can see the death and the maiden influence weighing heavily on both stories. In Beast, the dark prince Cianan Marek seems pretty darned evil on the surface. He forces beautiful and innocent Sascha to be his slave in exchange for her previous master’s indiscretions. He’s a werewolf. Not to mention that he has a really big, nasty secret that I won’t disclose (you gotta read the book). In Huntress, Prince Malik is literally a monster that’s rescued from his own rage and anguish by the dragonslayer maiden, Thalia. It’s also there in my sci-fi romance series, Phoenix Rising (Naked and Neo-Geisha). The heroine, Phoebe Addison, is a seemingly innocent librarian who reluctantly falls in love with the angry alpha superspy, Cage St. John. The aforementioned heroines are drawn to these heroes because of their darkness. They are, perhaps subconsciously, excited by the perceived danger of loving these men who behave badly. As both a reader and a writer, I’m a sucker for these stories. And I can’t be the only one. Fifty Shades of Grey has made millions of dollars worldwide and Phantom of the Opera is the longest running show on Broadway. Are we hardwired to love the things that are bad for us? Or is it that we long for someone to push our boundaries and force us to do the things we fantasize about, thereby allowing us to absolve ourselves of any guilt we might feel? I suspect it may be simpler than that. Perhaps embracing “death” is a way to face our own fears of mortality. By taking “death” as a lover, it gives us some sense that we have conquered it. Or maybe I’m just a sicko.